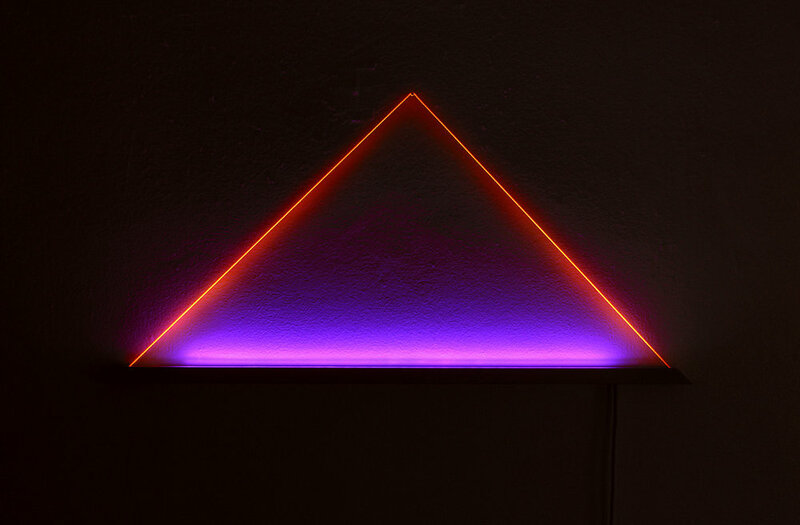 UV is composed of ultraviolet LED‘s, powder-coated aluminum, and woven nylon thread. 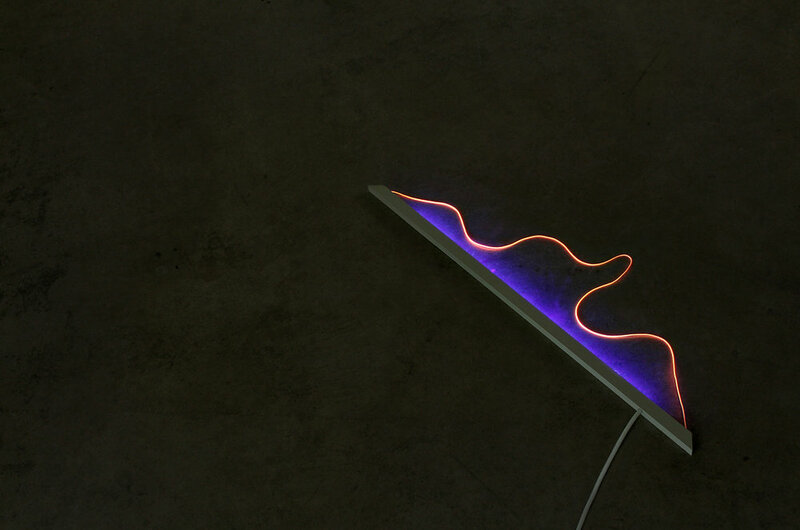 The flexible nylon thread that suspends UV on a wall creates its composition, reacting to the ultraviolet light projected from below. This reaction enables the thread to become its own light source, emitting a soft orange glow. UV plugs into an outlet, and is designed to be mounted on a flat surface or in a corner. W27" x D0.5" x H13.5"